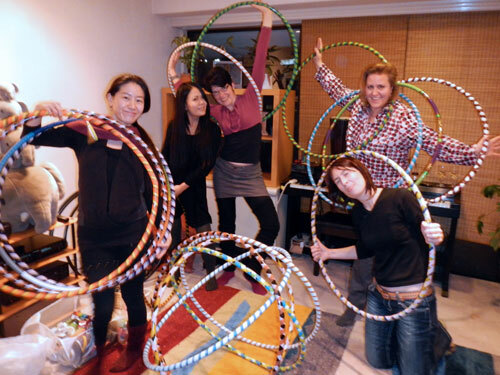 Here are the one hundred and seven hoops that will travel to Tohoku. Early next week, I will ship them to Iwate-ken by takyubin, and I will follow them on the 19th for a week-long tour with Guy Totaro and Keiko Fujimoto. 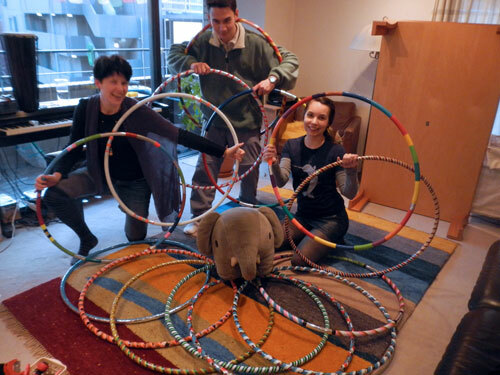 We are staying in Ofunato and travelling by car to over a dozen schools where I will join in performances, hold workshops and give away our hoops. The Tyler Foundation’s Smile Ambassador program generously provides transportation, accommodation, and all the organization for this trip. 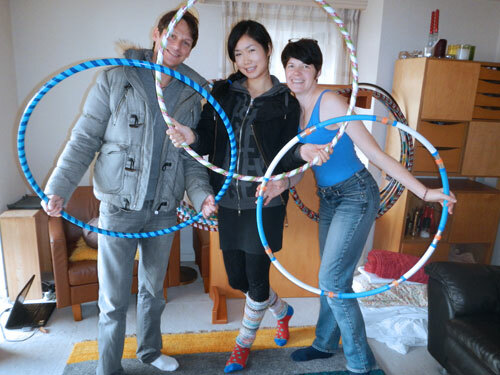 All I have to do is show up with our hoops and fit into the performance schedule with Guy and Keiko. Naomi, Rachel, me, and Masa. 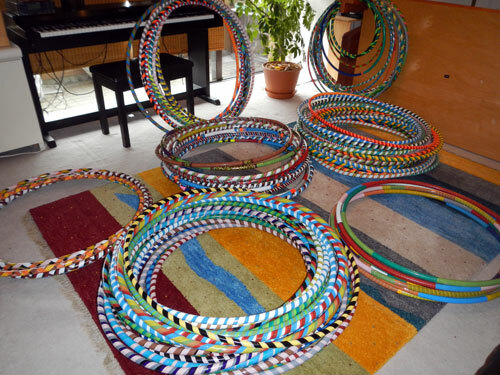 15 hoops. Yuko, Rie, me, Trine, and Alexie. 17 hoops. Sebastien, Kana, and me. 17 hoops. Me, Chaobang, Tijana, and Zousama. 15 hoops. Thank you all for sharing your time and creative energy and for donating money to WHD to buy supplies. 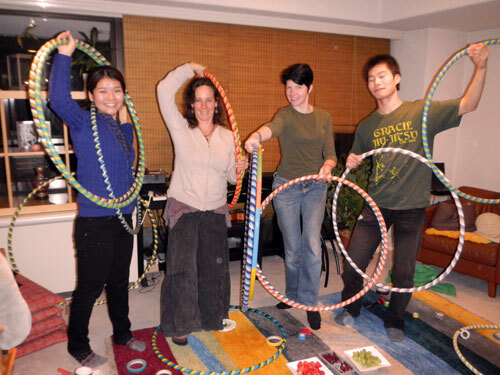 There will be more hoop making in our future – next time for Peace Boat. Stay tuned.